Do you really know the clutter that you allow into your life? Have you thought about how much this clutter distracts you from reaching your goals and fills your life with needless cleaning and organizing, just to keep your home in some organized state? However, there is more to clutter than just the excess in your home, clutter can turn up everywhere and know how to get rid of it is important, learn how to drop your digital clutter now! It isn’t as difficult as you might imagine. The rule that you will hear about clutter is that if you don’t love it or need it then it can fall into the spectrum of clutter. However, as mentioned before, clutter just isn’t in our homes it is in our computers and is becoming digital clutter. You know what I mean, how many photos are on your phone, that are blurry, or have no real meaning. If you lost the pictures, you might not even miss them. So why do you take up space on your phone with pictures you don’t want or need? If you are looking for a way to display your pictures then you might want to try a digital picture frame. A free game that you played once on your computer, is still there taking up valuable computer space, you can’t like the game or even love it if you have only played it once, so why keep it? Is it just because it was free? This is clutter, it doesn’t matter that it’s on your computer, phone or tablet, it is clutter taking up precious space, which is for the items that you do use. I regularly go through all my devices and make sure the things stored on there are things that I want and need. Anything else I remove, it takes up valuable space. Organize your digital files, if an item is important enough to keep then make sure it, too, has a home. The more organized your computer the easier it is to find things and to know where to put other similar items. It is about keeping your digital life free from clutter that you don’t need or even want. My inbox is something that annoys me, there are emails that I want to read, yet having the time to read and reply or to make notes is time-consuming, even more so if I don’t keep on top of the incoming mail. After all, it has a home in your inbox right? Wrong, the more emails you store and promise to read without giving time to act upon them, the more they will build and you will never catch up. You have to put time aside each day to read and catch up with your incoming digital mail and you have to decide what to do with it. If that means you need to set up files in your inbox for the items which you want to read or for actions you need to take, this is all very well, but you need to find the time to take this action otherwise you are just creating another problem in a new home. 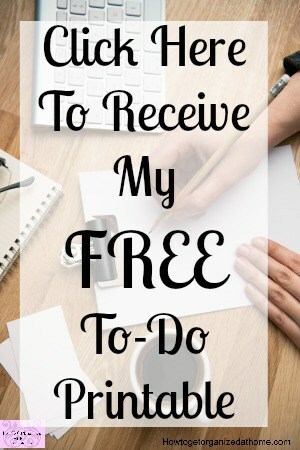 Sometimes, it is easy to ignore, but with this comes a problem; you miss releasing the clutter, allowing you to feel free from the worry of this clutter filling up your digital lives. Take action; make a plan that is going to work for you. For me, this plan is to check my emails twice a day; I have set times during the day on which I work on different tasks. This gives me the power to ensure that those important tasks, dealt with and the rubbish deleted, giving me back my power over my inbox. 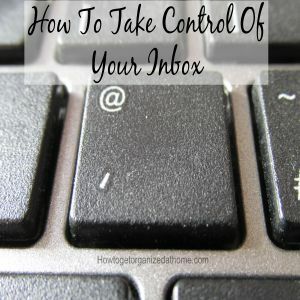 Check out this article how I deal with my inbox and how I manage to keep it under control. Digital clutter is easier to hide, it is less noticeable but it can still have an impact on your life. Each time you turn on your electronic devices the clutter stored will affect the running of the device, it can slow it down or hamper the ability to store something that is important. Even cloud storage isn’t limitless, there comes a time when you need to go through those digital files and ensure that they are things which you want and need, not just stored there because they were free or you just couldn’t be bothered to press delete. Protecting your identity is important in the digital age, it is too easy sometimes with the personal information we leave lying around on our devices. If they fall into the wrong hands this could cause consequences, which can take ages to sort out and might end up costing you money! If you are unsure how to get rid of unwanted files on your computer or unsure how to file your documents in any sort of order, you can hire people to do this for you. Make sure, if you choose this option, they are a reputable company. Ask for recommendations and check them out before you let them loose on your electronic devices. You could look into getting some formal training on how to use your computer properly and to learn how to delete files, which you no longer need or want to store. Therefore, digital clutter isn’t as cumbersome as normal clutter but it is still very important you understand how to get rid of information that you no longer need to store. It does affect the device having unused items, it can slow down your machine and it can prevent you from storing current information. Therefore, it is important that you ditch the digital clutter today. What is your best tip for removing digital clutter? If you are looking for more articles on this topic head over to the landing page where you will find links to other articles about organizing.